Rulemaking Update: Draft rules on updating the salary threshold for the Executive Administrative and Professional (EAP) exemptions from the state Minimum Wage Act will be released on Friday, Oct. 5, according to the Department of Labor & Industries. 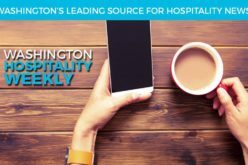 The Washington Hospitality Association has advocated for the draft rules to mirror the federal salary threshold, which is also under review. Please stay tuned for an action alert coming on Monday. If you would like to sign up to receive the action alert, text ‘SERVE’ to 52886. Additionally, L&I will be holding listening sessions on the draft rules beginning next week. These rules have the potential to significantly change the structure of our industry. The Office of Labor Standards in has announced Seattle’s minimum wage starting Jan. 1, 2019. Seattle’s Minimum Wage Ordinance determines that the wage paid by large employers increases annually to reflect the rate of inflation. Click here to learn more about Seattle’s minimum wage. Reminder: For cities outside Seattle, SeaTac and Tacoma, Washington state’s minimum wage is $12 starting Jan. 1, 2019. Washington Hospitality Association CEO Anthony Anton will be at the next Spokane Hotel Motel Association meeting. Members of the Spokane Chapter are invited to attend. Email Toni Hansen to reserve your place. The National Restaurant Association and the National Cyber Security Alliance will present “Restaurant Data Security Beyond Compliance,” a webinar, 8 a.m., Oct. 18. The webinar will provide important information about how restaurants should approach data security beyond compliance activities. On this episode of Dine NW Andy Cook speaks with Joe Gunn of Whidbey Pies Cafe recently recognized by USA TODAY as the “Best Pie in Washington.” Later in the episode Andy speaks with Gordon Kushnick, owner of Essential Benefits and H.I.H.I.T. broker, about why simple insurance choices have such a positive impact on a restaurant’s labor shortage, and how they’re more affordable for smaller eateries.